Invisalign is a carefully planned orthodontic treatment that transforms tooth alignment, whether you have crooked teeth or gaps, overbite or underbite. 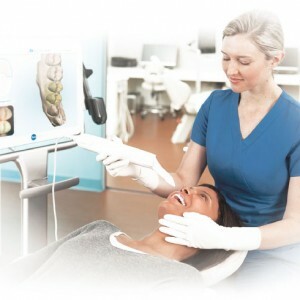 Patients who qualify for this revolutionary teeth-straightening method provided by Elite Invisalign provider Dr. Ken Cirka in Center City, Philadelphia, are given a customized treatment plan that, when followed faithfully, allows a new smile to emerge. Invisalign can take about half the time of traditional orthodontic methods to complete a full course of treatment, with the average length of treatment falling somewhere around 12 months. This number will vary based on the positioning of your teeth at the start of treatment, how quickly your teeth shift, and your adherence to the instructions provided. If you are diligent about Invisalign wear, your treatment is far more likely to progress as it should and in a timely manner. The hallmark of Invisalign is nearly invisible aligners that are changed regularly. Over your entire treatment, you will probably wear between 18 and 30 aligners. This number will vary depending on where your teeth are now and where they are moving. Your unique total of aligners will be determined at the start of treatment by your Philadelphia dentist. Each set of Invisalign aligners are worn for approximately two weeks because all teeth are not moved at once. The aligners ensure that teeth move in the correct order and at the correct time in a gentle and methodical way. Some teeth may be more difficult to shift so you may need to live with a few sets of aligners for longer than two weeks. Consistency and dedication are the biggest factors in the success of Invisalign since you are on your own in between dental visits and it’s up to you to change, clean, and wear your aligners as instructed. Invisalign braces must be worn for 20 to 22 hours a day. This means, of course, that the aligners must be on your teeth while you’re sleeping, at work, at school, socializing, or otherwise. (Don’t despair – because the aligners are so thin and hard to see, no one will ever know you’re wearing Invisalign unless you tell them.) The only times your aligners should be removed is when you are eating or are cleaning the aligners or your teeth. To get maximum effectiveness from Invisalign, the aligners should only be removed about four to six times a day. About every six weeks, you will visit your Philadelphia Invisalign provider for a check-up. At these appointments, you will receive several more sets of aligners that were made just for you, and your teeth will be inspected to make sure the treatment is advancing as it should. Braces-wearers must see their orthodontist about once a month, and often need other special visits to repair broken brackets or tighten wires. Invisalign eliminates this inconvenience. Invisalign pays dividends, creating a gorgeous new smile that will give you confidence and improve your life in so many ways. Throughout the treatment, the shifting of your teeth will be noticeable, and that will have you looking forward to the complete result, and encourage you to follow your treatment plan as indicated for the very best smile makeover. Find out if you are eligible for Invisalign braces from Dr. Ken Cirka, Center City, Philadelphia Invisalign Elite Provider. Contact us to schedule your consultation.